Chabuki has taken the standard baby staple — the onesie — to a whole new green level. Made in the USA from recycled, reused, discontinued and/or broken materials, Chabuki’s upcycled baby onesies possess a unique individual style. Old suit shirts, vintage fabrics and discarded buttons are creatively transformed into artistic appliqués, and adorned with cute flowers. And when your bubs start to grow up, Chabuki also designs some very stylishl eco-friendly dresses, too. Best of all, all designs are one of a kind. Chabuki has taken the standard baby staple -- the onesie -- to a whole new green level. 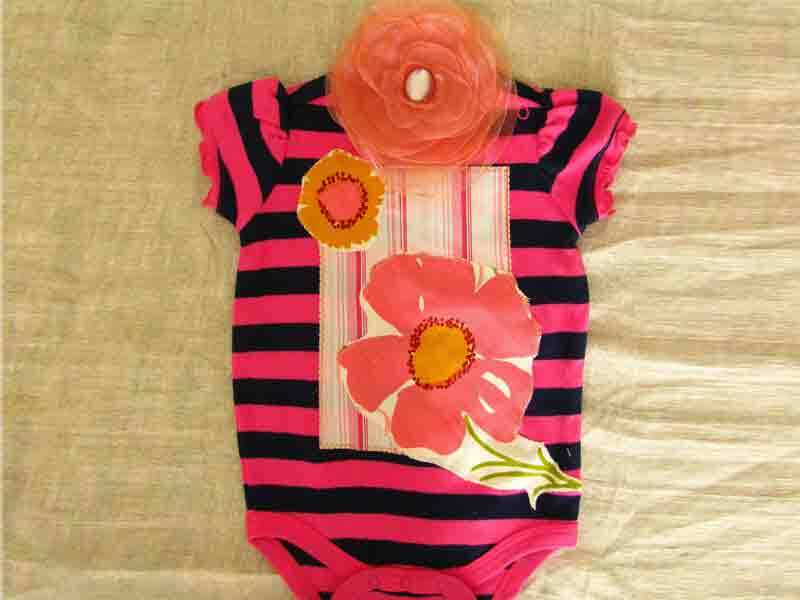 Made in the USA�from recycled, reused, discontinued and/or broken materials, Chabuki�s upcycled baby onesies possess a unique �individual style. Old suit shirts, vintage fabrics and discarded buttons are creatively transformed into artistic appliqu�s, and adorned with cute flowers. And when your bubs start to grow up, Chabuki also designs some very stylishl eco-friendly dresses, too.� Best of all,�all designs�are one of a kind.